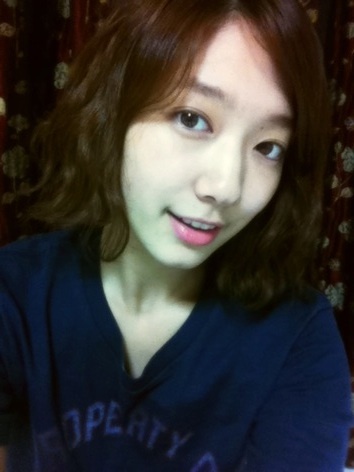 Actress Park Shin Hye is recovering from her injuries. Earlier this month, Park Shin Hye was involved in a car accident and was hospitalized for 3 days before she could return to the drama set. Five persons, including Park Shin Hye, her two managers and coordis were immediately rushed to nearby hospital to receive treatments. Fortunately, no one was seriously injured. As Park Shin Hye suffers neck and waist pains as a result of the accident, she is accompanied by on-set physical therapists during her drama filming after she was discharged from hospital. A drama official stated "Park Shin Hye's commitment to her job is highly praised by drama staffs. A personal physical therapist is hired to accompany Park Shin Hye on set so she can receive consistent treatment while filming 'Heartstrings' (drama name)." Trans: I am embarrassed to suddenly say this.. Starlight angels, Shinhyenet, PSH_IFC (shinhye.org) , DC.. Thank you. Please do not worry, I am healthy again. And.. I know that as much love I'm receiving there are lots of bitter sayings. When this happens, as much love I am filled with, I am not going to stay still and be threatened by them so .. be careful!♥"
Hope she okay but for some reason korean celebrities are always hurt by car accident not too recently SNSD sooyoung was also involved as well.